This photo below was taken at a competition in June 2008. Phthalates in Cosmetic Products – Why? Phthalates is a controversial chemical. Among the many things, it is suspected of causing, are asthma and allergies in children, insulin resistance, as well as being seen as a possible reason for the growing obesity problem in the world. Just to mention a few of the suspicions. It is maybe most well known as a plastic softener, but can actually be found in everything from food to glue and medicine! But why is it used in cosmetics, especially in fragrances? The answer is that when phthalates and a second chemical are added to a fragrance, the chemical substance works as a solvent. The effect is that the fragrance will keep its scent for a much longer time; compared to if nothing was added. Other personal health care products like eye shadow, moisturizer, nail polish, liquid soap, and hair spray can as well contain phthalates. Next time you buy a personal health care product, be sure to study the label carefully, though this sometimes can be something of a task where a degree in chemistry would be helpful. It should not really be necessary to mention this, but none of Paul Penders’ products contain phthalates in any form whatsoever and have never done it! 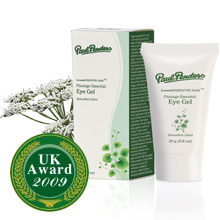 Only natural essential oils are used as scents in products from Paul Penders. Recently, the Danish fashion, beauty and lifestyle magazine Eurowoman featured a very successful test and review of Paul Penders Plantago Essential Eye Gel. Short and to the point. That is the way we like it! 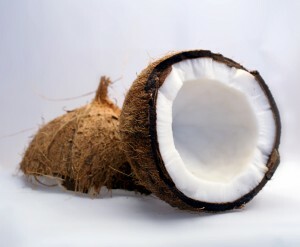 Coconut milk is a sweet, milky white cooking base extracted from the flesh of a mature coconut. The milk’s colour and rich taste can be attributed to the high level of oil and sugars. Coconut milk is not only widely used in many tropical cuisines, but also in hair remedies. In Asian countries, coconut is known as the king of hair products. Like Malaysians, Indians use coconut milk as an effective hair conditioner either alone or mixed with essential oils or flowers. Malaysia’s national f lower, the hibiscus’ petals and leaves are traditionally boiled and are added to coconut milk for application to the hair. The Peranakan community (also called Straits Chinese) have different remedies that are considered to be appropriate for ‘hot’ and ‘cold’ dispositions. For example, coconut milk is combined with a few betel leaves is applied on the hair after getting drenched in a heavy rain. Basically, coconut milk can be mixed with other natural ingredients to improve your hair. – By simply applying coconut milk on your scalp and massage it gently before rinsing and cleaning your hair thoroughly. – Mix the juice of half a lime with coconut milk and massage on the scalp and hair. Thoroughly wash off with herbal shampoo. -Add two spoons of refined flour, three spoons of castor oil, one spoon of shikakai, one spoon of honey and some amla powder in a cup of coconut milk. Mix well and rub on your scalp for 20 minutes. Wash off thoroughly. In short, coconut milk is one of the easy-to-get ingredients that provides natural goodness for your hair. Do try out the hair remedies! You will get wonderful results. Animal welfare and cosmetics – the two things do not seem to have much to do with each other at first sight. But knowing how most cosmetics products are developed will soon make the connection obvious. Most cosmetic products – but not Paul Penders’ products – are tested on animals before they reach the market. This cruelty to animals is something Paul Penders (both as a company and as a person) has always fought strongly against. And this is where the British actor Sir Roger Moore comes into the picture. Sir Roger Moore, who played James Bond in 7 movies from 1973 – 1985, is as well an avid animal rights activist. Another thing Sir Roger Moore and CEO Paul Penders have in common: none of them would ever even consider eating foie gras! 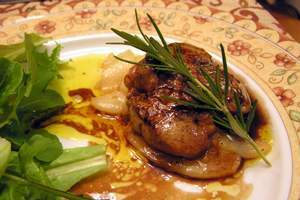 Foie Gras means “fatty liver” in French and is mostly served at high end restaurants and is an quite expensive dish. It is made from enlarged livers from geese and ducks. These birds are force feed two or three times a day with 4 lb (1.8 kg) of a corn mash mixture that makes their livers grow grotesquely large. The food is literally forced down their throats. In human terms it is the equivalent of eating 45 lb (20.4 kg) of pasta a day! In a recent article for the Daily Mail, Sir Roger Moore writes that he even refuses to speak to old friends who still eat foie gras. 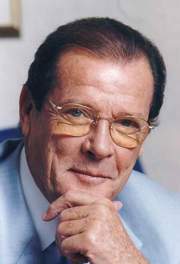 Sir Roger Moore has as well joined up with PETA (People for the Ethical Treatment of Animals) and campaigned against the production of foie gras. Read the whole article written by Sir Roger Moore in the Daily Mail here. A blog writer’s comment: I did try hard, very hard – but could only find these two similarities between Sir Roger Moore and CEO Paul Penders. I really tried! Goodbye Stress – Hello Relaxing Green Grass! Wave goodbye to stress and lower your blood pressure – use a fragrance with newly cut grass scent added! Will this be the future? 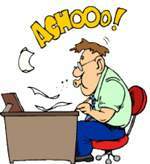 We have all tried this: there is so much to do during the day and it feels difficult to overcome it all. 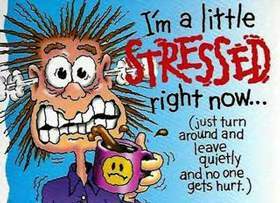 Many of us react with stress – we get nervous and irritated and find it difficult to relax. Our blood pressure might even go up. The correct solution to this has until now been to try to identify what caused the stress and then try to work out changes in lifestyle, so we can live a life with less stress involved. 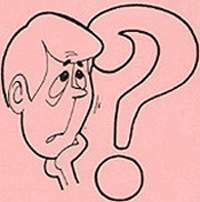 In severe cases we might even have to go and see our medical doctor – and maybe end up on medication. But – oh, great future – maybe not anymore! 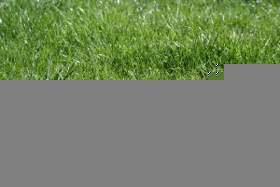 Scientists have created a new stress relieving room spray, based on the smell of cut grass. The spray is only on the experimental level until now (and still being tested on animals! ), but according to the scientists, the spray can be used on bed linen or clothing. So, what has this to do whit cosmetics? Easy to answer, because the scientists say the spray – when moderated slightly – has a big potential when added to shampoos, fragrances and soaps. The spray – developed by researchers from Queensland University in Australia – is based on chemicals released when grasses and green leaves are cut. It should be able to reduce the damage long term stress can have on the body; including the negative effect stress has on the long term memory as well as on the blood pressure. 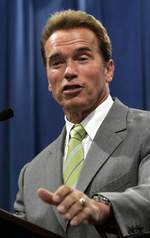 The positive effect, claims the scientists, of this combination of chemicals is not associative. 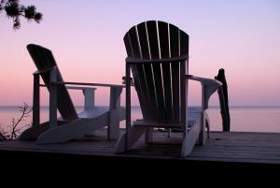 In other words, it does not relieve stress by reminding individuals of quiet and relaxing summer evenings. Instead, the chemicals work on the brain structure, on the part which is related to anxiety and fear. The formulation of these chemicals appears to be undetectable by the human nose, meaning that it can be incorporated into products without altering their fragrance. A company has recently been formed to commercialize the product and to explore the potential use in cosmetics. This new spray – if it ever reaches the market – raises many questions. One thing is for sure: the procedure when getting a product approved for a market is quite different for cosmetic products compared to medical products. And, by the way, will we be able to pick it up at the local supermarket or will we need a prescription from our doctor before we can buy it? Paul Penders have no intentions to go in this direction. Two very obvious reasons speak against doing this. The first reason is the testing on animals, which has never, ever been used by Paul Penders. The second reason is the adding of chemicals to an otherwise completely clean and pure natural organic product. This might be the future one day – but not for Paul Penders.